Ko Lanta is an enjoyably quiet destination, although it has seen a steady rise in visitors in recent years. Unspoilt beaches and a very laid-back, low-key atmosphere make the island a great place to visit. Ko Lanta is actually made up of two islands, Ko Lanta Noi (noi = small) and Ko Lanta Yai (yai = large), but you will usually hear people simply referring to Ko Lanta and this will mean the larger of the two islands where the accommodation and the beaches are to be found. All the beaches are located on the west of the island. Hat Kaw Kwang is the closest to Sala Dan and nearby Hat Khlong Dao is Ko Lanta’s longest and most popular beach. Broadly speaking, the further south you go the quieter the beaches become which is ideal if you want to get away from it all, but not so good if you’re looking for a choice of restaurants and places to drink. If you are looking for raucous nightlife, Ko Lanta is probably not the best island to choose. With no airport on Ko Lanta, the most convenient option from Bangkok is to fly to Phuket, Krabi or Trang. All three of these places have airports with daily connecting flights to and from the Thai capital. It is then a case of getting a bus/mini-bus/taxi and ferry over to Ko Lanta. If you want to go by road all the way from Bangkok, government buses run out of Bangkok’s Southern Bus Terminal to Phuket, Krabi and Trang from where it is easy to arrange and book onward travel to Ko Lanta. Many private tour operators in Bangkok can pre-book all of your transport and accommodation if you so desire. Travelling by rail from Bangkok, trains depart from Bangkok Hualamphong to Trang from where daily mini-buses depart around mid-day to travel the 2.5 hours to Ko Lanta. From mid/late October to April, daily boats depart from the main pier in Krabi Town to Ko Lanta. Departures are at 10.30 and 13.30. If you don’t have accommodation already sorted, there will be plenty of ‘bungalow touts’ lurking near the pier and on the boat itself. They all carry folders with pictures of the resorts and bungalows. The patter usually takes the line of, ‘Owner this bungalow my brother, very beautiful place, how much you can pay . . . ‘ Of course, you can always wait until you get to the island and actually look at a few places before committing yourself to staying somewhere that doesn’t look as appealing as it did from the pictures you were shown on the boat. It is possible to avoid all these shenanigans by travelling from Krabi by mini-bus. This option exists year-round, unlike the boat which suspends operation in the rainy season due to rough seas. All tour operators in Krabi Town and Ao Nang can arrange this for you. During the dry season, two boats depart daily from Tonsai Pier on Phi Phi to go to Ko Lanta. Departure times are 11.30 and 14.30. It is possible to travel by boat from Phuket to Ko Lanta during the dry season, but it means going via Phi Phi. Buses depart from the bus station in Phuket Town to Krabi from where you can decide from the options given above in the Krabi section. 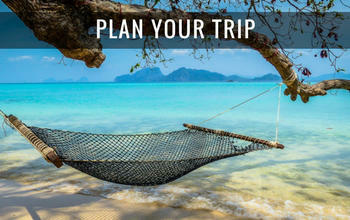 Many Phuket tour operators will be able to pre-arrange it all for you for a premium. Daily mini-bus departures leave around mid-day to Ko Lanta (journey time approx. 2.5 hours). Ban Sala Dan (or Sala Dan as its usually referred to) on Ko Lanta’s small north coast is the gateway to the rest of the island. Sala Dan is basically a small fishing village, but it does provide banking facilities, internet access and a health centre. All boats arrive at Sala Dan and are greeted by representatives of the various bungalows, resorts and hotels. You’ll be asked where you’re staying and then it’s just a case of jumping on the appropriate pick-up truck or van. If you are coming by road from Trang or Krabi, you will also pass through Sala Dan and depending on where you are staying, you may get taken straight to your accommodation or you may have to change vehicles in Sala Dan. There is a songthaew operation on the island, but it isn’t frequent or reliable. Getting around will mean hiring a motorbike or relying on transport from the owners of wherever you are staying. 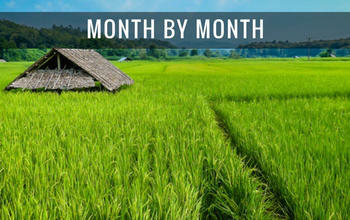 The dry season is from November-April and the rainy season runs from May-October. The coolest month is November with temperatures then steadily rising until they peak in April. 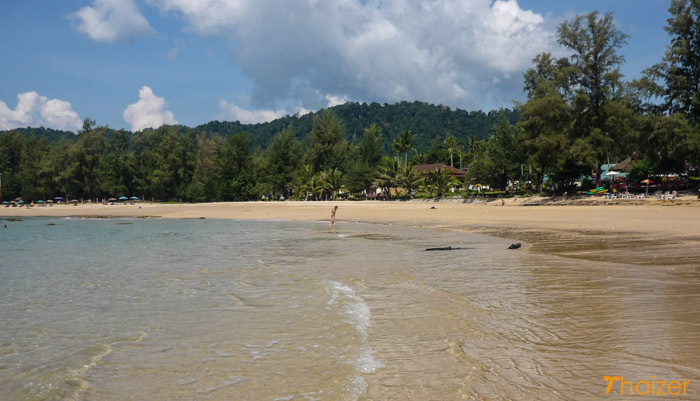 Not surprisingly, Ko Lanta island is at its busiest during the dry season. During the rainy season some bungalow operators close down, particularly those geared to the diving fraternity. Rough seas and poor underwater visibility make diving a no-no during this period. 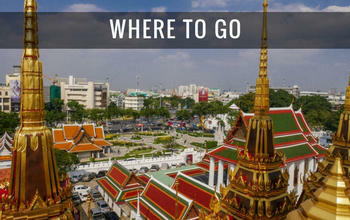 I'm Roy and I aim to provide you with tips and advice to help you get the best out of your trip to Thailand. Find out more here.